@KingOfPodcasts, host of The Wrestling is Real podcast and the Broadcasters podcast, offers real-time commentary on everything from digital and established media (music, movies, tv, and radio, pro wrestling and topics worthy of water cooler talk. KOP Extra Is Now Conform This. #MoviePass Subscriber Shrinks Big Time. Amazon Prime Video coming to Chromecast and YouTube coming to Amazon. #G1SuperCard Recap features the Rainmaker Reclaiming Gold, Dalton Castle Finding his Dark Side and Matt Taven validating his claim that he's the real world champion. KOP praises the ROH and NJPW delivering a Wreslte Kingdom worthy show to New York City in what was a fantastic card from top to bottom unaffected by AEW defections and delivering great storylines for ROH. It's KOPs #NXTTakeover New York Recap where a new NXT champion is crowned. Great show, but the discussion remains on how NXT Superstars are not being developed enough to get over once called up on the main roster. KOP at the Movies: #Shazam Review; Is DC ready to take over Marvel? #Shazam Review; Is DC ready to take over Marvel at the movies? KOP discusses the movie Shazam and how underrated she thinks the movie was compared to Captain Marvel among superhero movies that have been released this year. He also discusses with Marvel having Avengers endgame coming up in 3 weeks could DC find their spot to take over the top spot in the superhero movie universe. What did John Oliver say about WWE That Was Wrong? What did John Oliver say about WWE That Was Wrong? . KOP reviews the HBO Last Week Tonight segment where WWE is scrutinized for the lack of health and well being of their roster active and retired. What if one of these 5 outcomes at #WrestleMania35 didn't happen? What if Kofi Kingston didn't win the WWE title? What is Becky Lynch lost in the women's triple threat main event? What if one of 5 outcomes at #WrestleMania35 didn't happen? KOP looks at five matches with outcomes that the fans want to have happen, and he tasks how would you feel if two of these outcomes didn't happen. Triple Frontier Follows Bad NetFlix Movie Trend meanwhile Global Box Office is Flat in 2018, and Netflix and Subscription Services Rise in Popularity. Plus, Disney Dismisses Thousands After Fox Merger, and little progress in the Writers Guild Association seeking talent agents to adhere to better conduct for their clients. This King of Podcasts Extra is an edition of the Broadcasters Podcast. Support the program by: Sending a PayPal donation by going to https://www.paypal.me/kingofpodcasts Shopping at Amazon through our special link http://www.kingofpodcasts.com/amazon Contact KOP for professional podcast production, imaging, and web design services at http://www.kingofpodcasts.com/production Follow KOP on Twitter @kingofpodcasts Send KOP your feedback by either leaving a voicemail at 1-561-899-7030 or email kingofpodcasts@yahoo.com. We may even playback or read your comments on the show. Broadways, Blood and Big match implications as KOP reviews the Ring of Honor 17th Anniversary PPV. We look at what ROH offers leading to the ROH/NJPW G1 Supercard on Wrestlemania weekend. 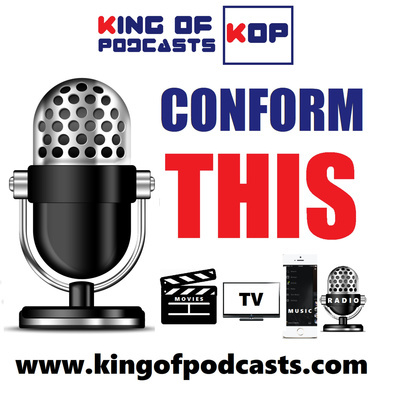 KOP shares his background in podcasting in radio and gives his first lesson in being a better podcaster in Episode 1, Podcasting Like You're Public Speaking. The way you speak in front of a public audience is a great example of how to deliver a better podcast. 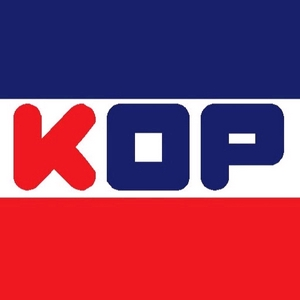 kop talks about the epic fail of established media and how they are so willing to let their audience go away and subscribe leaving their advertisers without an audience to support them thus support the medium. The first in an ongoing series of rants. Kop gives a brief review of Captain Marvel with some instant analysis as for the feedback and the response from the audience in the theater where he watched.